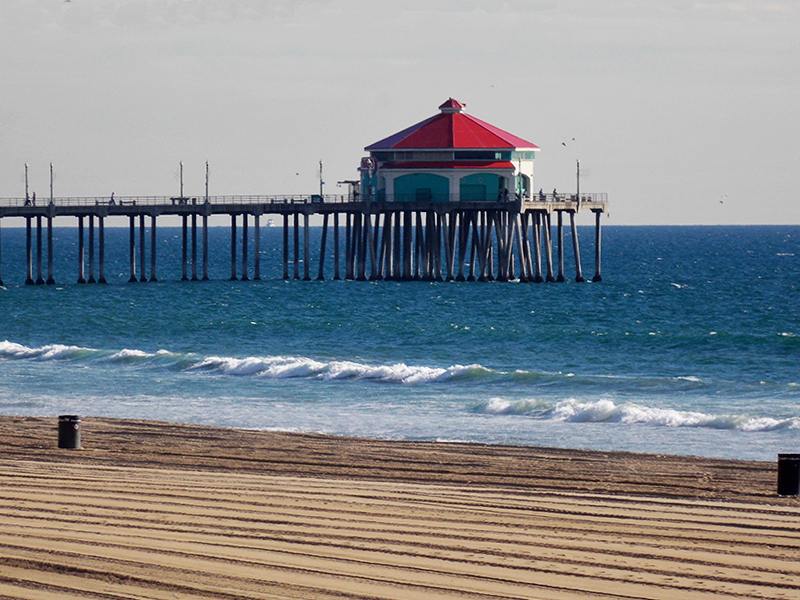 Huntington Beach is a seaside community in the heart of Orange County with a population of over 200,000. 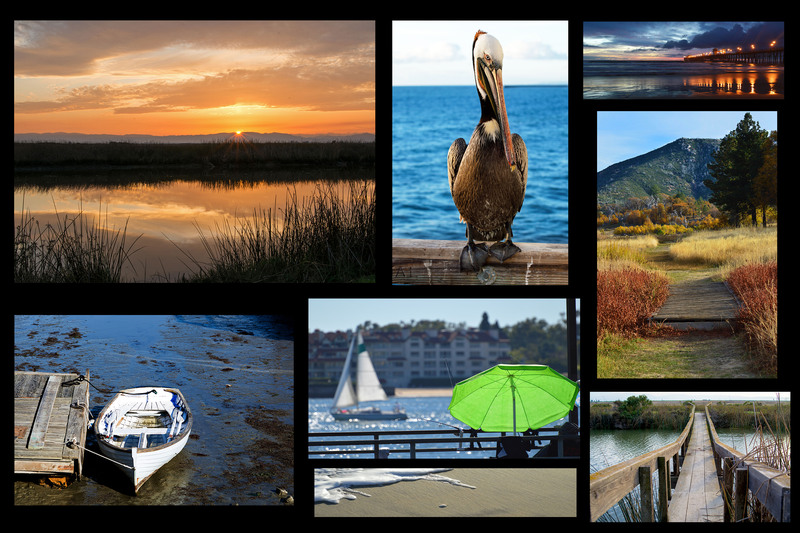 There is so much to do in this city but let’s face it; HB as it is known, is all about the beach, the ocean, and surfing! When I was a kid they held a worldwide surfing championship at the pier and for us locals, it was just as popular as the Super Bowl or the World Series. Crowds flocked to Huntington Beach to watch world class athletes perform at its famous surf break. We would always arrive there as early as we could to get a prime view from the pier. In the early days, the contestants rode ten feet long surfboards and it always amazed me how they accomplished such smooth footwork while moving back and forth on the board. At the end of the wave, they would whip the board in the opposite direction for a stylish cut-back, as it was called. Sometimes for more points, they would casually stride across the board towards the nose to execute the crowd pleasing “Hang Ten” maneuver. Over the years the boards got smaller and smaller so today the riders fly, snap, cut , carve, gyrate across the wave on boards half of the size of their predecessors. Both styles are just as impressive in my opinion. The crowds still turn up for this huge event much to the happiness of local merchants and vendors. It is a world renowned contest and with such a long history with the city, it is no wonder they call Huntington Beach, “Surf City USA”. 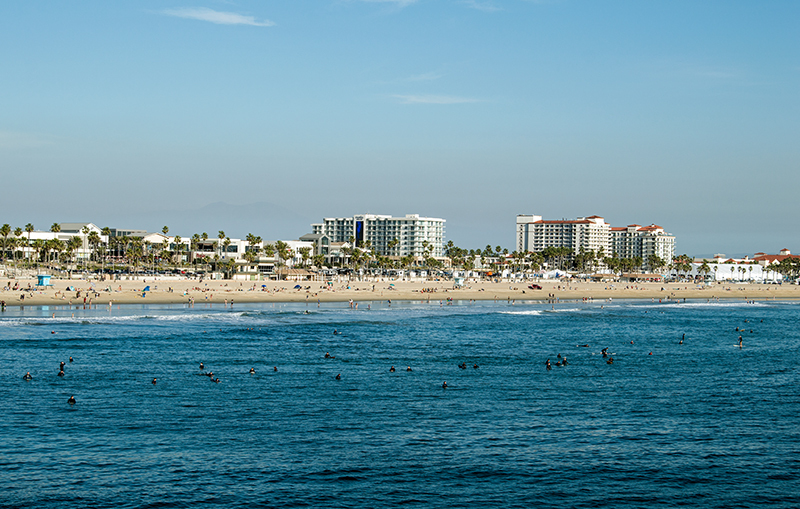 With miles of wide sandy beaches and prime surfing waves, the city embraces the surf culture. There are over 50 surf contests held per year including the aforementioned US Open of Surfing. 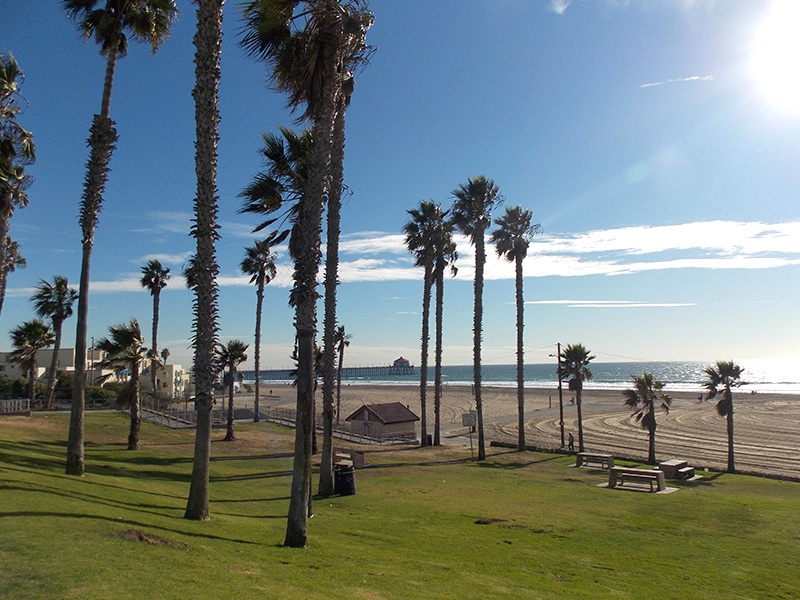 It also is home to the International Surf Museum, the Surfers’ Hall of Fame, and the Surfing Walk of Fame. It seems appropriate that there should be a Main Street in Surf City, USA and in fact there is! 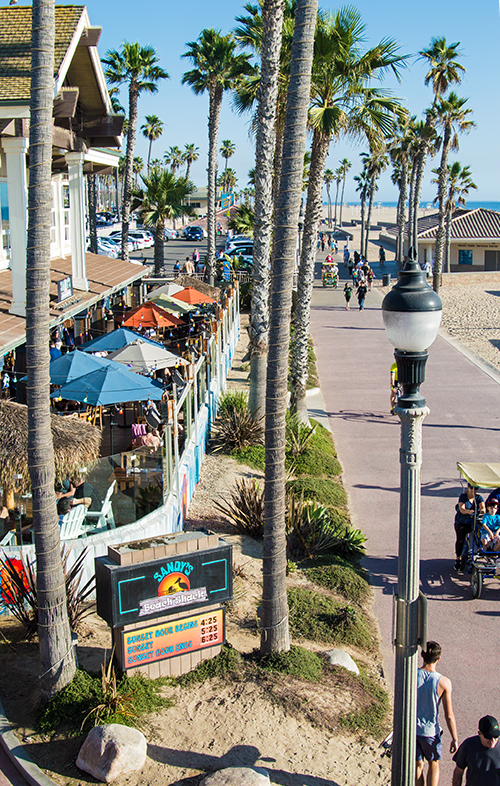 It is across the street from the pier and the surf culture is alive and well. 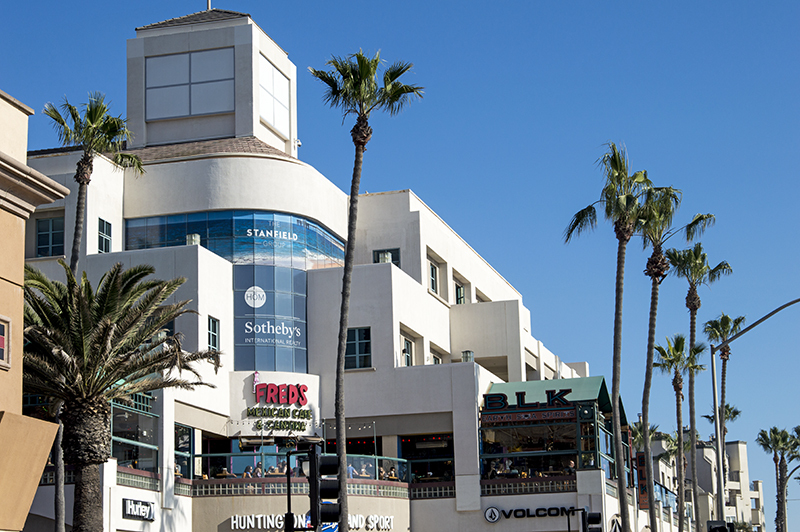 On the corner of PCH and Main Street you start with the massive Jacks Surf Shop and make your way down several blocks of more surf shops, souvenir stores, and boutiques filled with all of the latest surf culture styles. Just look up and you will see balconies filled with customers enjoying a meal or a drink at one of many eclectic eateries and bars. The view from their tables allows them to see the scene below or the pier and beach in the distance. High above on these patios seemed to be the preference because these places were packed. Want dessert? No problem, as there is plenty of little shops spread out over a few blocks to satisfy any sweet tooth or craving. 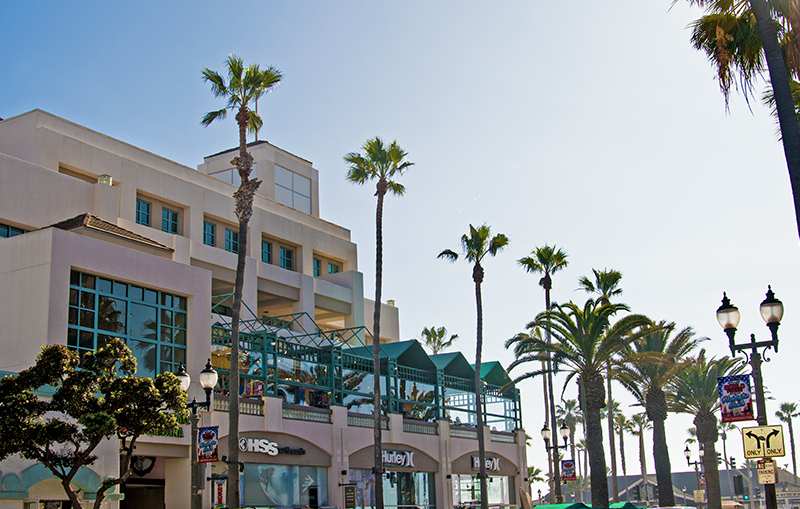 Once finished shopping or at the very least window shopping, make your way across the street to the pier. 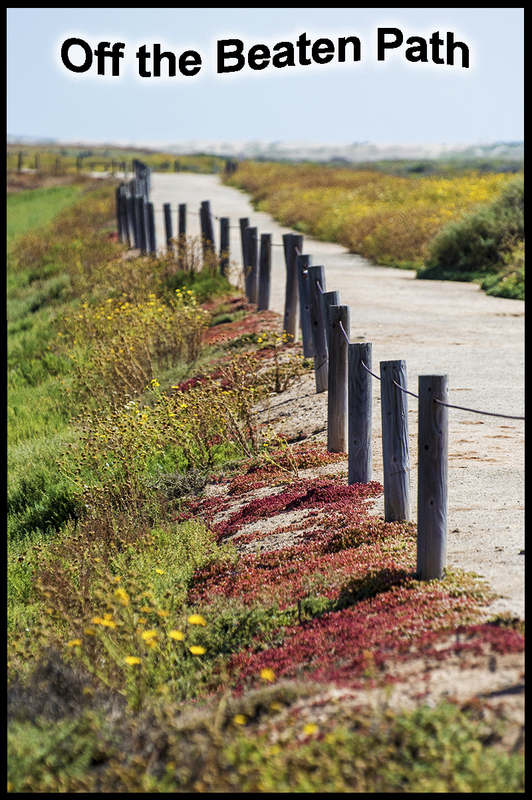 Unlike many of the piers in California, this one is made of cement instead of wooden planks. Massive crowds stroll this 1,850 long pier every weekend and nearby there are festivals, art shows, music, Farmers Markets, etc. 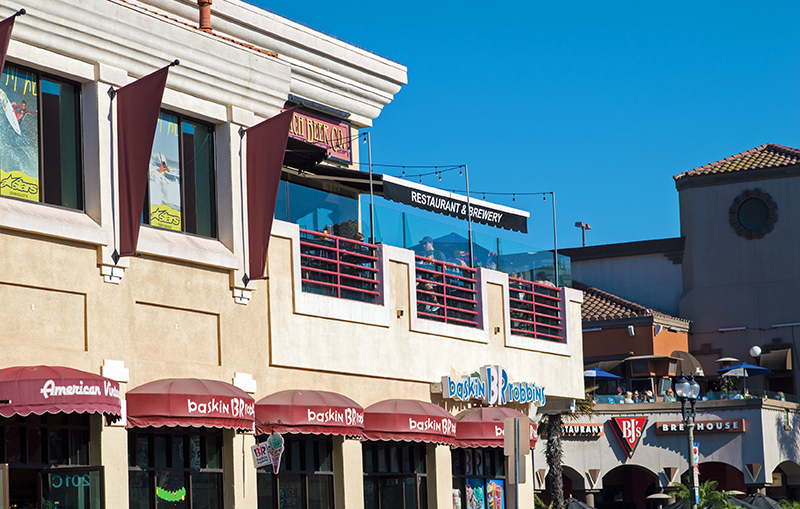 Besides the surfing contest, many other events call Huntington Beach home. There are professional volleyball tournaments, film and food festivals, Woody car shows, half marathons, and even an air show. In fact they were preparing for the half marathon the day we visited. Huge tents were everywhere as well as vendor set ups, and concession stands. It was proof that HB really knows how to hold an event. They even have the world famous and best happening of all, wiener dog races. Thousands of these short legged animals race for glory at the Village of Old World located in the middle of town. On and around the pier there are musicians playing music ranging from guitar players, to keyboardists, and even one guy who played the guitar, drums with his feet, and harmonica all at the same time. 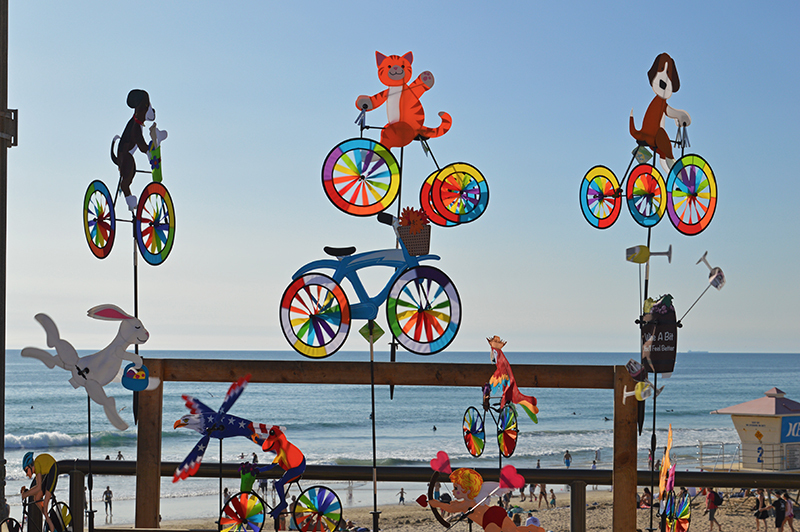 On top of the pier sits cute little souvenir shops, a kite shop, and the ever popular Ruby’s Diner is at the very end. Surfers dot the coast as far as you can see and from this vantage point they are fun to watch just like they were thirty years ago during the largest surf event in the U.S. 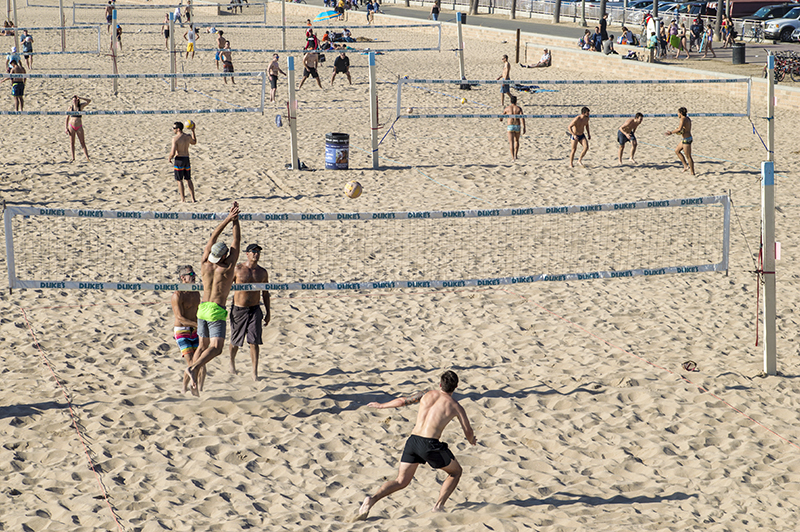 Dozens of volley ball nets are set up on the beach and the courts were full with half dressed players enjoying the sunshine. Just south of the pier, new hotels, time shares, condos have now been built and there is yet another area that has restaurants and shops. The parking lots for beach goers are huge and expect to pay about $15 for the day. Although I saw plenty of parking spots open, I know during the summer these spaces can be very scarce. As I watched a surfer gliding across the wave it brought back memories, as I have surfed here myself. 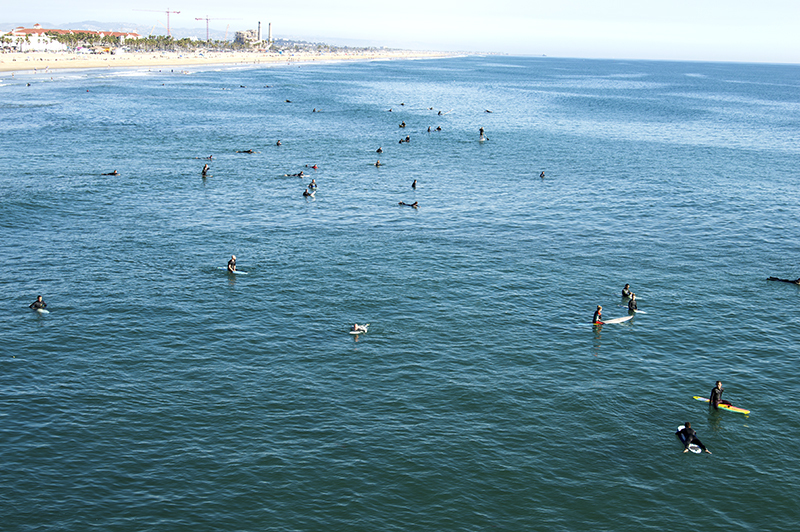 The surfers look the same, the pier looks the same, the beach looks the same, but the crowds are just a tad larger. The tiny little surfing shops have turned into larger clothing filled palaces, and the restaurants have ambiances that rival any fine resort. When I write my mortgage and property tax checks, I sometimes get dismayed on how much more we pay than other places in our country. Then I close my eyes and remember a day just like today, where I am dressed in shorts and a t-shirt while the warm mid day sun beats down on my face. It is a crystal clear afternoon and I am standing on a pier watching the surfers and the volley ball players. 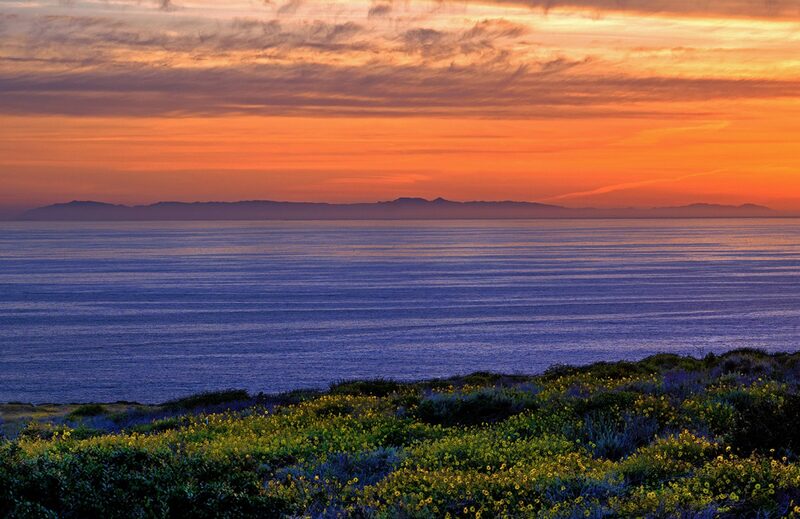 The blue Pacific Ocean spans for miles and the beach is filled with life and activity. It is the middle of winter on the first week of February and the rest of the country is drenched in snow with temperatures in the teens. Then I open my eyes and gladly sign my name to the checks. This is why we pay the big bucks; this is why I love California.